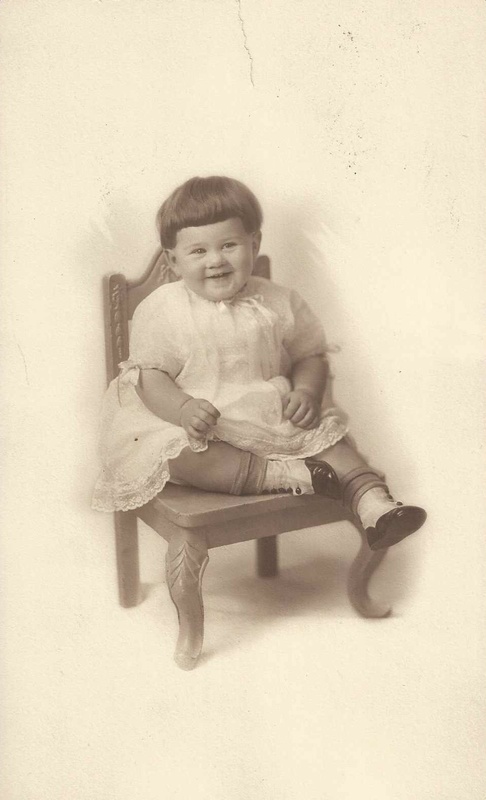 Annabelle Shuler, age 15 mos. Update as of 9/14/12: All this photo has is a name and age, but it is so cute, I can’t help but keep searching. I think I may have found Annabelle. After a little research on the style of clothes and shoes I believe the picture to be taken in the 1920’s. The last name Shuler is not typical; it’s usually spelled Schuller. There is one Annabelle Shuler that keeps popping up. Luckily she has some yearbook photos from 1938 and 1942 online. While it’s never an easy comparison between a 15 month old and a 16 or 20 year old, it very reasonably looks like it could be the same person. I believe this to be a picture of Annabelle Shuler, daughter of Dr. Ivan and Emma Shuler from Seattle, Washington. She married H E lovejoy in 1944 in Seattle. I have found other photos from Washington state in the batch I purchased from at the antique store, so not too far off that it would be from that part of the country. If this is the right Annabelle, I’m not sure if she’s still alive or not, but I hope I can connect her with family.